Jumby Bay (Antigua) has become the latest private island to adopt a more sustainable attitude to its culinary output, turning to local farmers and fishermen for ingredients and inspiration. The latest private island to adopt a more responsible attitude is Jumby Bay – a pristine private island resort located in Antigua. When it comes to premium travel, guest expectations are at an all-time high. For many corners of the luxury tourism market, bespoke service and gourmet food now come as standard – regardless of the logistical challenges they bring with them. Such challenges are felt even more keenly amongst private islands, where a heavy reliance on imports is often par for the course. With more and more guests taking an interest in where there food comes from, an increasing number of high-end island resorts are now “going native” – looking towards local ingredients in order to create innovative and inspiring menus which don’t leave a bad taste in the mouth – both gastronomically and ecologically. The latest paradisiacal private island to adopt a more ecological approach is Jumby Bay, a luxury island resort set in one of the “most beautiful, undisturbed places in the world”: Antigua. During a rare quiet moment, Private Island News managed to catch up with executive chef Sylvain Hervochon to find out all about his innovative new farm-to-table food philosophy. The Chef has been introducing all sorts of unusual ingredients to his kitchens, creating mouth-watering, signature Caribbean-style dishes which make use of the native conch, the spiny anegada lobster, pig, lamb and goat – all of which can be sourced from the island’s farms or a mere matter of miles away at local farms or in the surrounding waters. As well as adopting these local influences, the affable chef has also been using his powers of persuasion to get local farmers to try their hand at cultivating some of his favourite, more-exotic ingredients. “I’m asking the farmers I know to experiment with foods that they might be able to produce in large quantities, including Chinese eggplant, the biggest success to date,” he said. The farm-to-table philosophy has been well-received, and the island resort has already moved to offer its guests further foodie treats in the guise of guided gastro-tours. Guests can take their pick from a tour of the Black Pineapple Far (accompanied by Chef Hervochon himself); a tour of the local sugar cane fields and a local rum distillery; or visit the factory where Susie’s Hot Sauce – the islands famous pepper sauce – is produced. The positive feedback received thus far has encouraged the island’s operators to roll out a similar concept at several of its other resorts, including Little Dix Bay in the BVIs. Currently closed for renovation work, we expect that the farm-to-plate philosophy will have a big role to play upon the resorts re-opening in November 2017. Stay tuned for more details. Both Jumby Bay and Little Dix Bay are available to book on an exclusive buy-out basis with VLADI ISLAND TRAVEL – the world’s only travel agency dedicated exclusively to private island travel. 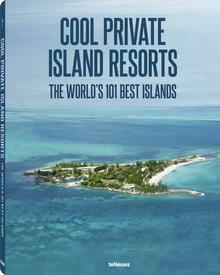 Contact travel@vladi.de or head to www.private-islands.com for more information.